"Celebrating the Richness of Paleontology through Fossil Hunting"
Interested in Fossils or Paleontology? Do you want to know what a paleontologist does? 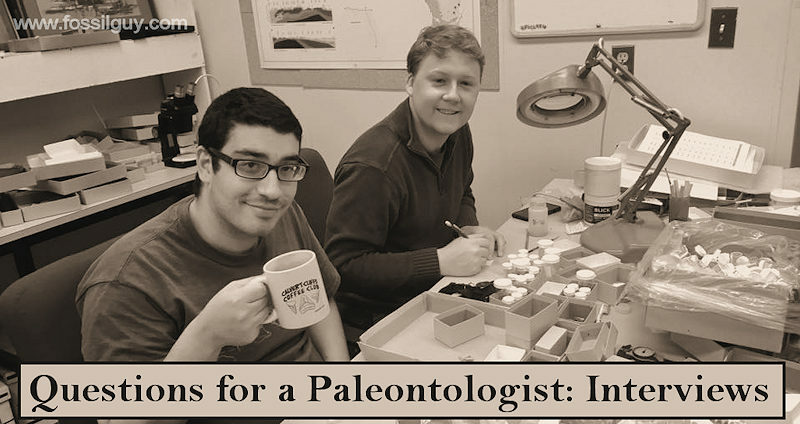 Browse these "Questions for a Paleontologist" and learn what they do! 1. How did you become interested in Paleontology? I found my first fossil brachiopod in a creek when I was 4 years old. I collected fossils throughout my youth, and I fortuitously met a grad student working on fossils in my home town when I was about 12. 2. Explain the aspect of Paleontology that you focus on. I focus on understanding how Cambrian and Ordovician marine invertebrates lived, died and were preserved as fossils. I think as much about sediments and layers as I think about the life of the creatures. 3. What do you do in the course of a day as a Paleontologist? I may be out in the field measuring strata and carefully collecting bulk samples from many layers. In the lab I use saws and grinders to make thin sections of rock for microscope analysis, and I spend a good bit of time at the microscope studying the shell structure and how it decayed. 4. What was your favorite discovery or field experience? My favorite discovery was that certain brachiopods apparently disturbed the sediments around them as they were buried. The brachiopods are very common, but it had always been assumed that they could not move. Finding that they could move is controversial, and a lot of fun. 5. Is there anything else you want to say about being a Paleontologist? 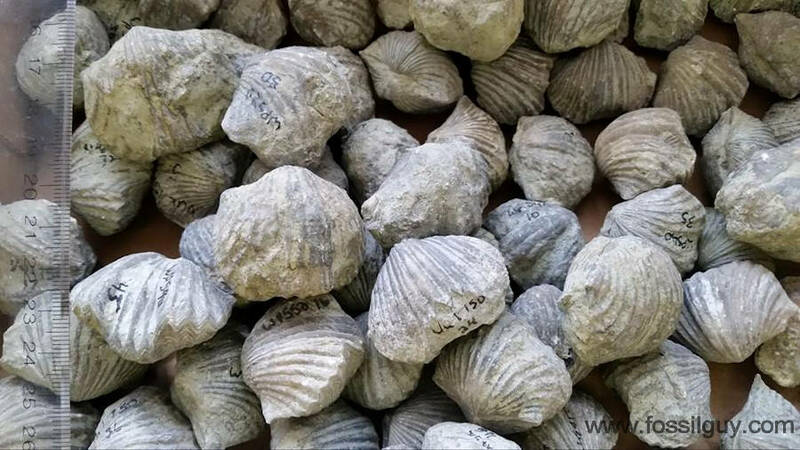 This is a bulk sample of Brachiopods awaiting study. These are thin sections of Silurian reef. 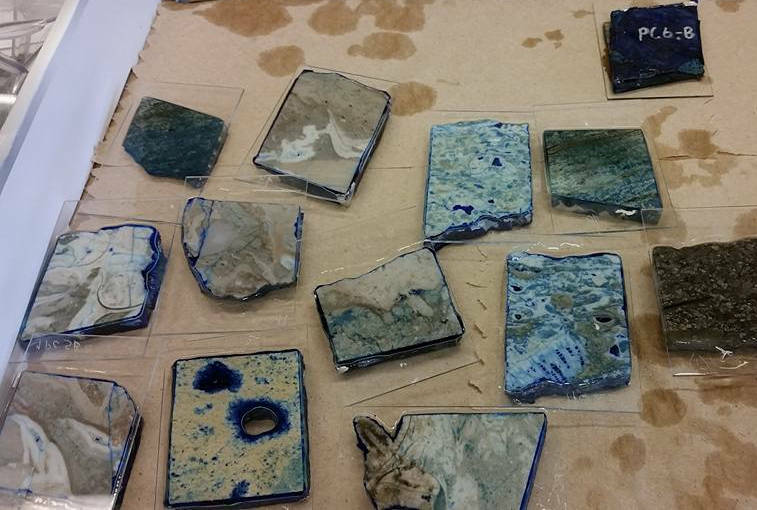 These samples from Indiana are cut and polished into thin sections for microscope analysis. 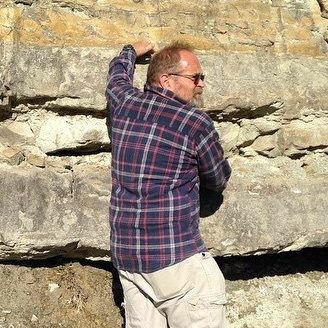 Click here to learn about more Paleontologists at the main "Questions for a Paleontologist" page!